London - Israeli officials say the Labour Party has apologized to the Israeli ambassador after comments made by party leader Jeremy Corbyn. Corbyn spoke at the launch of a report examining anti-Semitism inside the opposition Labour Party. He said Jews were “no more responsible for the actions of Israel” than Muslims were responsible for Islamic State extremists. Israeli Embassy spokesman Yiftah Curiel said Friday that Labour foreign policy adviser Emily Thornberry had apologized for the remarks. “Ambassador Mark Regev welcomed Emily Thornberry’s unequivocal apology following Jeremy Corbyn’s unacceptable remarks,” he said. Britain’s chief rabbi called the remarks offensive. 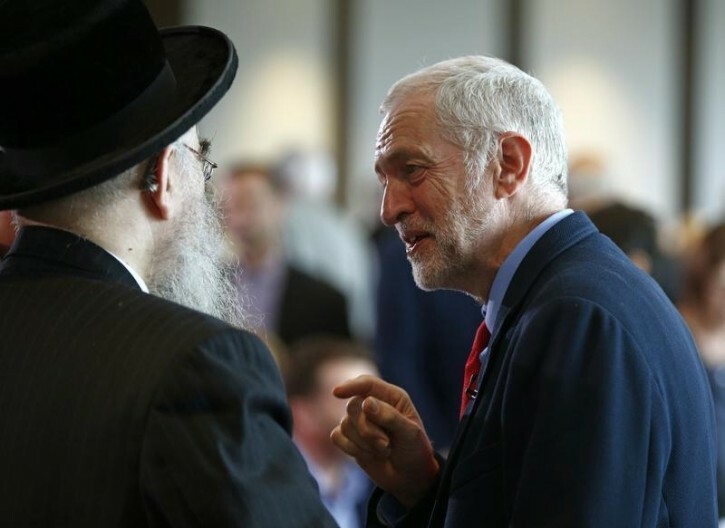 Corbyn said later he was not trying to equate the Israeli government and Islamic State. Corbyn set up the independent inquiry after several Labour Party officials were suspended for making anti-Semitic comments. I think Corbyn and Obama are on the same page.